By providing practical information and relevant resources, Facts and Trends Online helps evangelical leaders navigate the issues and trends impacting the church in today’s world. With “pump-it-up” worship music and constant smiling faces, it’s an issue that can sometimes feel ignored or unimportant in some churches, says Nashville-area youth pastor Josh Hussung. But it’s an issue that, today more than ever, teenagers are concerned about. It the issue of anxiety and depression. “I think, without meaning to, you can create this feeling that a faithful Christian is always going to be happy, hands up, high fives all the time,” Hussung says. However, 7 in 10 teenagers say anxiety and depression are major problems among their peers today, according to a new survey from the Pew Research Center. At the same time, researchers have noted a rise in these kinds of mental health struggles among teenagers. In light of these trends, how the church responds to the concerns of some of its youngest members could make all the difference. The National Survey on Drug Use and Health has recorded a rise in depression among teens in recent years. In 2016, 12.8% of those 12 to 17 years old experienced a major depressive episode in the past year, while depression led to severe impairment for 9% of teens, according to the survey. Of those teenagers dealing with major depression, less than half said they’d received treatment in the last year, according to the Pew Research Center. Statistics on the prevalence of anxiety among teenagers are “hard to come by,” the Pew Research Center notes. But the Pew article does point to the National Survey of Children’s Health, which, in 2016 to 2017, found that 7% of children aged 3 to 17 had an anxiety disorder. Meanwhile, research from the General Social Survey shows happiness among young adults ages 18-34 fell to an all-time low in 2018, with 25% of young adults reporting that they’re “very happy,” according to analysis from researcher W. Bradford Wilcox. Hussung’s experience is only anecdotal, he says, but in his 10 years as a youth pastor at Grace Community Church in Brentwood, Tennessee, he’s seen an uptick in concerns about anxiety and depression among teenagers. Meanwhile, LifeWay’s Girls Ministry Specialist Mary Margaret West says these issues are ones that many church leaders are already trying to address among their students. “Anxiety and depression are always somewhere in the top percentage of things [church leaders] are wanting to hear more about, are struggling with, are trying to figure out how to navigate with their students on a regular basis,” West says. At the same time, Hussung says he’s noticed “therapy lingo” and conversations about anxiety and depression becoming more mainstream. It’s something that students are thinking about, he says, which may be why so many view anxiety and depression major problems among their peers. 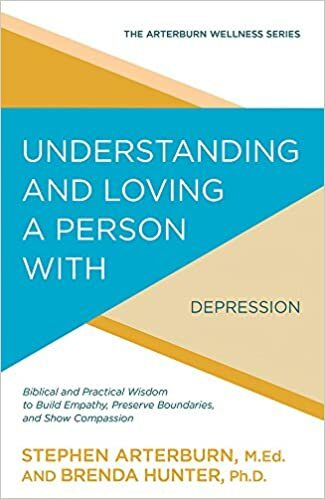 “Certainly, I have seen students, even if they’re not seeing a therapist, use the anxiety and depression language a lot more, and honestly, I think as the attention has gotten more and more on that for teens, I think they hear that, they pick up on that, and then that becomes part of the language they use to self-describe,” Hussung says. Similarly, West says for some students, the rise in concern about anxiety and depression could be pointing to something even deeper. “It also, I think, lends itself to a bigger conversation of asking, ‘Is it true?’” West says. Still, concern about these issues are on the rise among teenagers, and West says the reasons why are understandable. “I do think that there’s more for them to be anxious about than in past generations, just from a social media perspective, just from a cultural perspective, just from all the access that they have to information, people, and things,” she says. “It’s the socially acceptable thing we use to distance ourselves from Jesus and other relationships as well,” Straub says. Additionally, Hussung mentions evolving parenting styles—parents being more open and honest with their kids about big decisions, for example—and Straub points to a possible trickle-down effect of adults’ anxiety affecting children and teens. How can the church help? As teenagers struggle with concerns about anxiety and depression, Hussung, West, and Straub each suggested some ways churches might be able to respond. For one, Straub says Christians need to normalize therapy. Similarly, Hussung suggests reducing the shame and stigma often associated with mental health struggles, so students start to feel more welcome to bring issues like these to church with them. West said leaders should simply listen to their students. “The biggest thing that somebody in the church can do is listen and try to navigate what’s going on because, for some of those teenagers, their youth pastor is the only advocate they have,” she says. West adds that when leaders listen, they shouldn’t be too quick to slap on an easy answer, like telling students they just need to read their Bibles more. Though that would likely be beneficial, she says, some students might actually need intervention. Hussung and Straub say churches should find ways to offer support. Straub suggests church leaders should provide tools and resources to help parents manage their children’s screen time, for example. Hussung highlights the importance of reminding people there are spiritual answers to issues like these. “I do think that there is a spiritual element to both [anxiety and depression] even though there may be some chemical thing involved,” Hussung says. “It doesn’t mean that there’s a separation between medicine and our spiritual life. He’s not suggesting that parents or students replace all therapy, psychology or medicine, but because of this deep connection between body and soul, Hussung says he’d like to see more parents and students turn to their faith—along with therapy and medicine—when confronted by anxiety or depression. This puts some responsibility on the local church, Hussung says, adding that churches need to make sure people know pastors and leaders are available and willing to pray and partner with those facing mental health issues, just as they would with people facing other kinds of health issues. Hussung adds that churches also need to make sure teens know sadness is OK, pointing to King David’s anguish in passages like Psalm 42 and 43 as evidence. Churches should share deep, scriptural realities like these with their students, he says. HELEN GIBSON (@_HelenGibson_) is a freelance writer in Nashville, Tennessee. Never miss anything from Facts & Trends and get exclusive content delivered to your inbox. 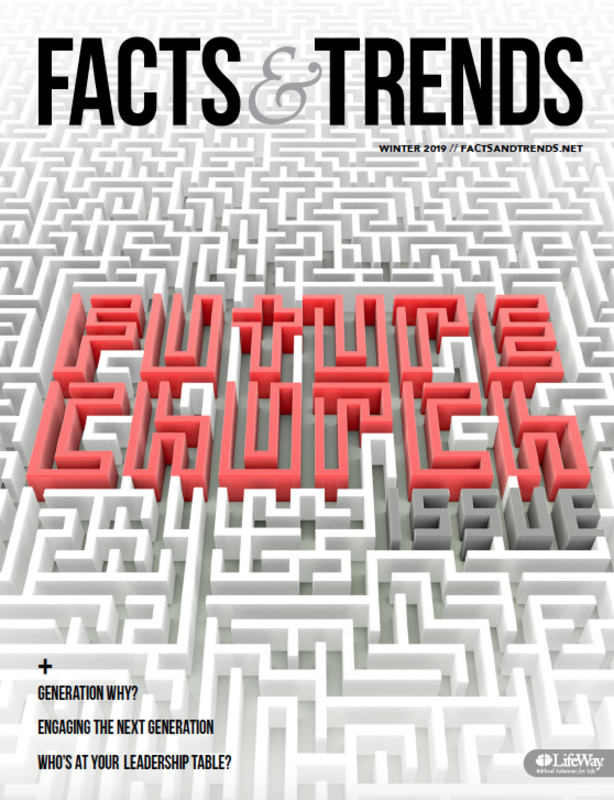 Facts & Trends is designed to help leaders navigate issues impacting the church.